Royal Navy career of Augustus Montgomery (formerly Reebkomp) 1773 to 1797. Ships' musters. Ship: ORPHEUS. 1773-1774. ADM 36/7651. First mention of Augustus Reebkomp. Warrants or commissions. 1782. Augustus Reebkompe, Lieutenant; Augustus Montgomery, Commander. ADM 6/22/446. Warrants or commissions. 1782. Augustus Montgomery, Captain. ADM 6/22/472. Warrants or commissions. 1782. Augustus Montgomery, Captain. ADM 6/22/514. Warrants or commissions. 1783. Augustus Montgomery, Captain. ADM 6/23/138. Warrants or commissions. 1788. Augustus Montgomery, Captain. ADM 6/23/463. Ships' musters. Ship: THESEUS. 1795-96. ADM 36/11666 and ADM 36/11669. Appointment of Augustus Montgomery. Ships' musters. Ship: THESEUS. 1796-97. ADM 36/12647. Death of Augustus Montgomery. Susan Montgomery, widow of Augustus Montgomery. Papers submitted to the Charity for the relief of Officers' Widows. 1797. ADM 6/343/8 ff. 37-40. The Sandwich (foreground) at the Battle of Cape St. Vincent in 1780. Picture of 1780. See full size. From here. Augustus Montgomery was Lieutenant on the Sandwich in 1781-82. Augustus Reebkomp (later Montgomery) was born 23rd Nov 1762. He was named "Augustus Reebkomp" at birth. He entered Royal Navy as child. First record is June 1773, age 10, where he is Captain's Servant on the Orpheus. On 1 Apr 1778 (age 15) he became a Midshipman on the Bienfaisant. On 14 Mar 1779, he became a Midshipman on the Europe, the flagship of Admiral Arbuthnot. Sailed to North America in May 1779. (This was during the American Revolutionary War 1775 to 1783). He became a Midshipman on the Victor Nov 1779 (think NOT Sept 1779). On 8 Mar 1780 (age 17), he was appointed Lieutenant on the Hope. En route from "Charlestown" [unidentified] to New York to join the Hope, Reebkomp was captured 24 Mar 1780 off "Sandy Hook" [unidentified] by an American privateer. He was carried into Rhode Island as a prisoner. Eventually freed in an exchange. Joined the Hope June 1780. Lieutenant on the Intrepid, appointed 3 Nov 1780. Appointed 9 May 1781 as Lieutenant on the Sandwich (flagship of Admiral Rodney). He was appointed Captain of the Ranger (later the Pigmy). [Pembroke Papers] says he was appointed Captain on 9 Apr 1782 (age 19). [Eton College register, 1753-1790] and [Dublin Almanack] say appointed Captain 24 May 1782. [Steel's List] says 1782. Apparently NOT July 1781. He took the name "Augustus Montgomery" on receiving his commission as Captain. [Pembroke Papers] says he became Captain of the Boreas 30 Apr 1782. Possibly Captain of the Buffalo May 1782. On 6 May 1783 he became Captain of the Concorde. American Revolutionary War ended Sept 1783. He went on leave in Sept 1783 on half-pay for nearly 5 years. He re-joined active service in the Navy in 1788. On 23 May 1788 he was appointed Captain of the Mercury. Sailed to the Mediterranean. Presumably to the Eastern Mediterranean, and that is how he met his wife. [Steel's List] shows him as Captain of the Mercury, in the Mediterranean, in at least Jan 1790 to Jan 1791. He got married in 1791. 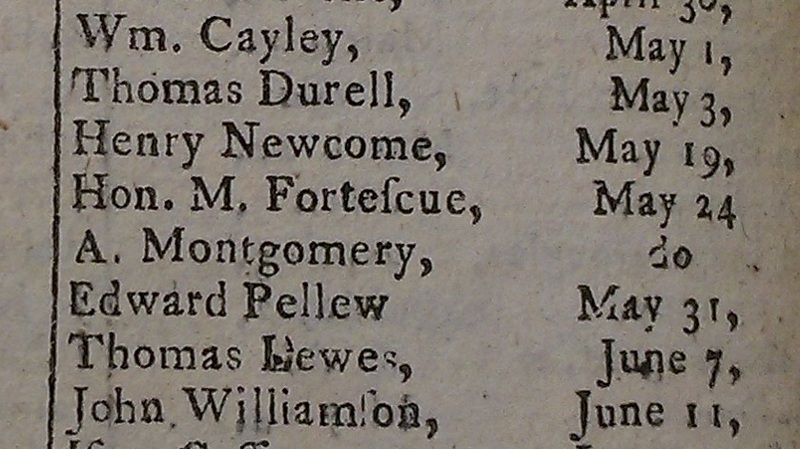 In June 1791, [Steel's List] shows the Mercury at Portsmouth. No Captain listed. In Feb and Mar 1793, [Steel's List] shows him as Captain of the Inconstant, then in the English Channel. 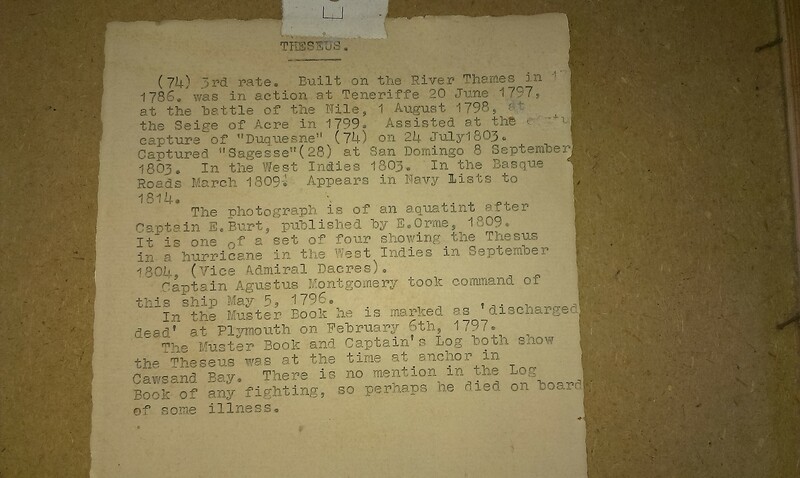 In Apr to June 1793, [Steel's List] shows him as Captain of the Inconstant, location listed as "To the West Indies". In July 1793, [Steel's List] shows them back in the English Channel. In Sept to Nov 1793, [Steel's List] shows him as Captain of the Inconstant, location listed as "Cruising". In Dec 1793, [Steel's List] shows them in "Convoy to Mediterranean". In Jan 1794 to Apr 1795, [Steel's List] shows him as Captain of the Inconstant, in Mediterranean. He was made Captain of the Courageux. [Pembroke Papers] says this was in Mar 1795. Other source says Jan 1795. In May to July 1795, [Steel's List] shows him as Captain of the Courageux, in Mediterranean. He was made Captain of the Audacious, supposed to be June 1795. In Aug to Oct 1795, [Steel's List] shows him as Captain of the Audacious, in Mediterranean. He was made Captain of the Bedford. [Pembroke Papers] says this was in Sept 1795. Other source says July 1795. 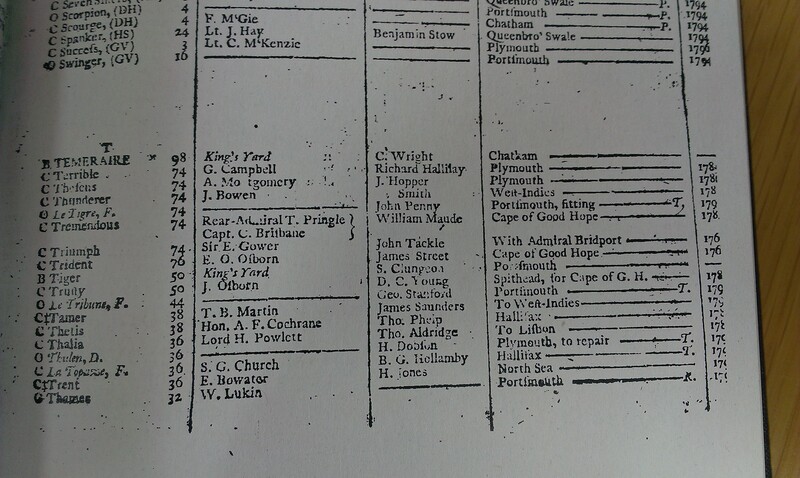 In Nov 1795, [Steel's List] shows him as Captain of the Bedford, location listed as "Portsmouth, refitting". 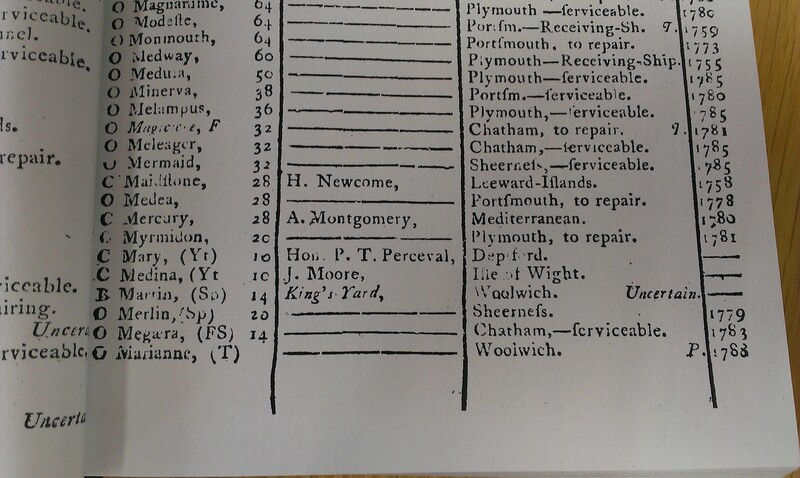 In Dec 1795, [Steel's List] shows the Bedford with no Captain, location listed as "Portsmouth, to repair". He was made Captain of the Theseus (pronounced "Thee-seus"). [Pembroke Papers] says this was 5 May 1796. However, in Feb 1796, [Steel's List] already shows him as Captain of the Theseus, location listed as "Coast of France". In Mar 1796, [Steel's List] shows him as Captain, and the ship "On a secret Expedition". In Apr to Sept 1796, [Steel's List] shows them at Spithead. In Dec 1796, [Steel's List] shows him as Captain of the Theseus, location listed as "Cruising". 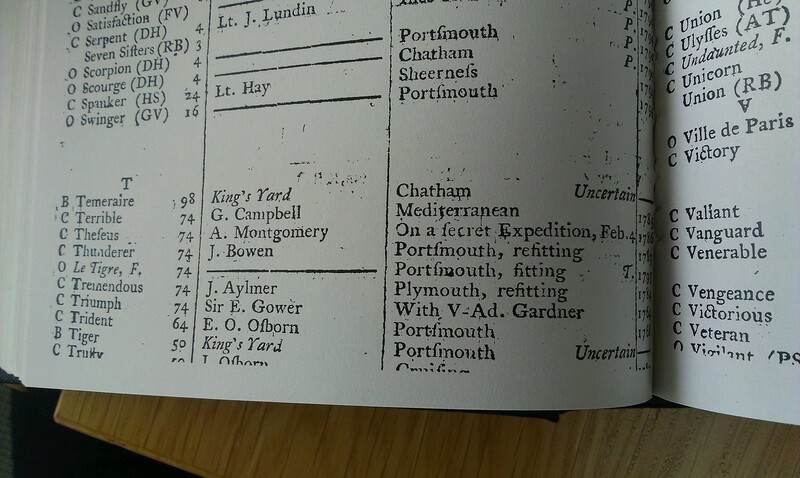 In Feb 1797, [Steel's List] shows them at Plymouth. 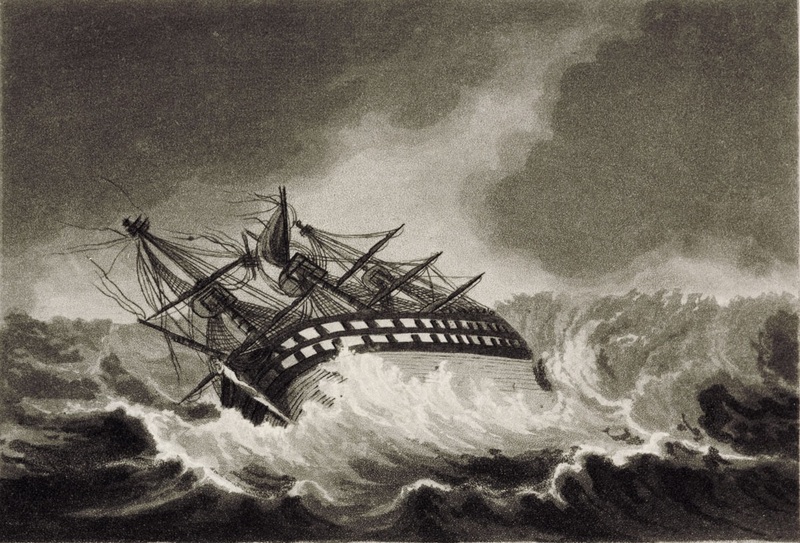 Augustus died on board his ship the Theseus at Cawsand Bay, Plymouth, 6th Feb 1797. In Mar 1797, [Steel's List] shows the Theseus at Spithead with a new Captain. Capt. 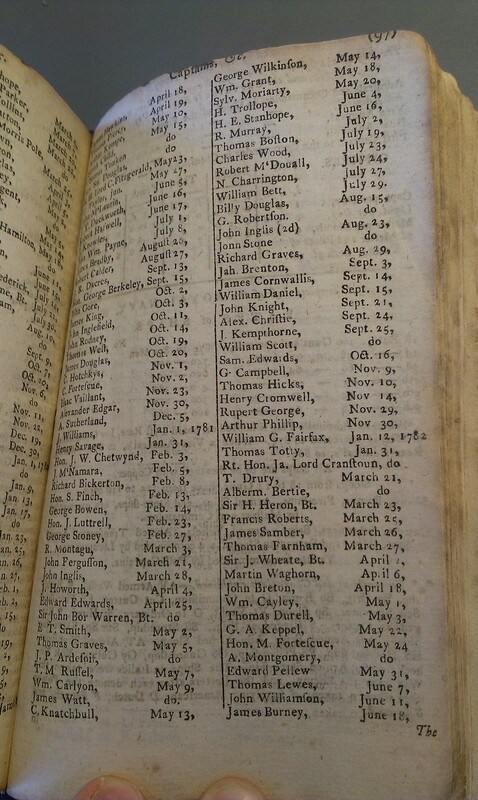 Augustus Montgomery listed among the Royal Navy Captains in [Dublin Almanack, 1783]. Capt. 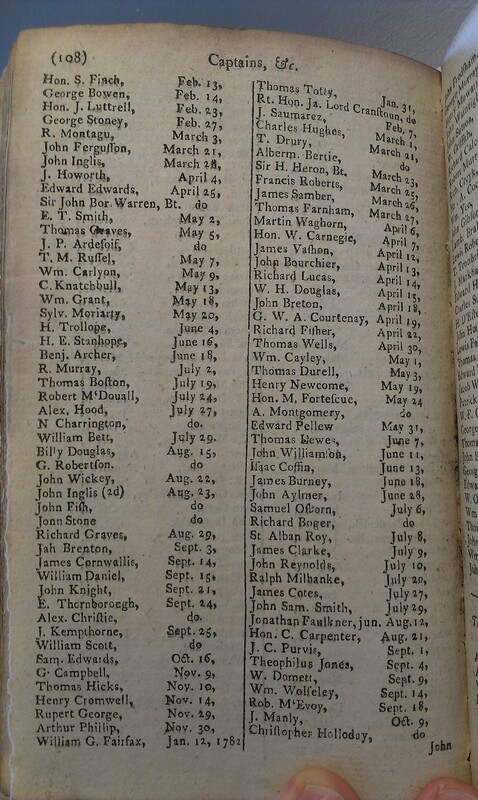 Augustus Montgomery listed among the Royal Navy Captains in [Dublin Almanack, 1787]. 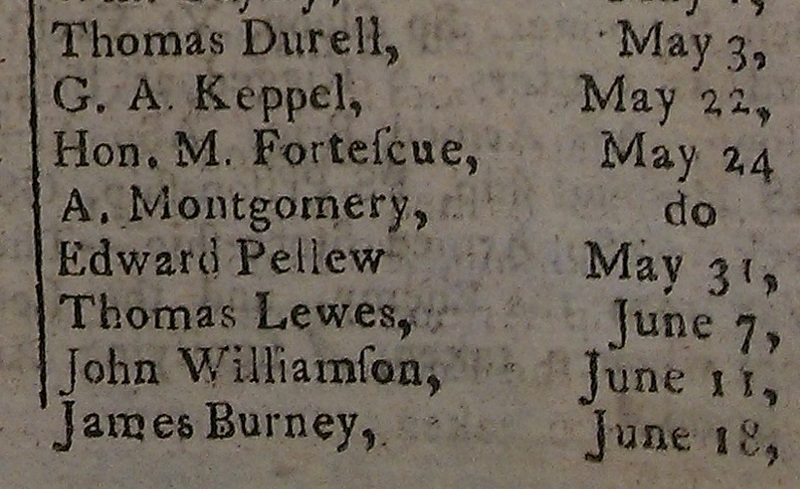 [Steel's List, Jan 1790] shows Augustus Montgomery as Captain of the Mercury, then in the Mediterranean. Columns show number of guns and date ship built. See full size. 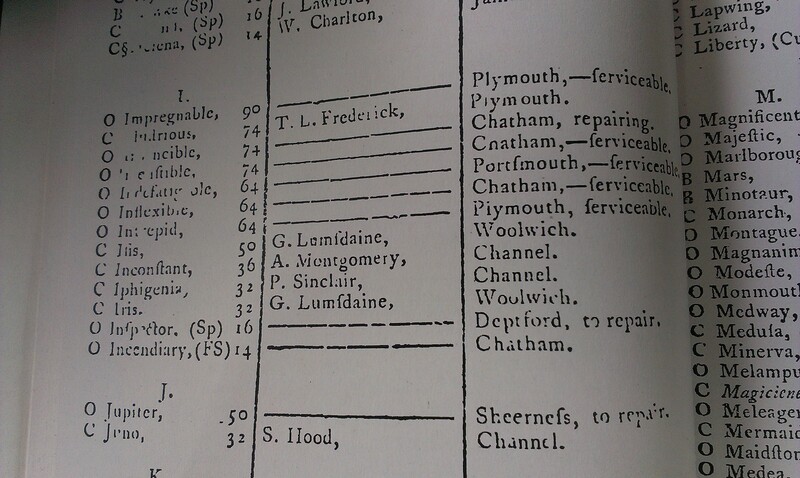 [Steel's List, Feb 1793] shows Augustus Montgomery as Captain of the Inconstant, then in the English Channel. Column shows number of guns. See full size. [Steel's List, Mar 1796] shows Augustus Montgomery as Captain of the Theseus, location listed as: "On a secret Expedition". See full size and other shot. Columns shows number of guns and date ship built. The last entry for Augustus Montgomery in [Steel's List]. 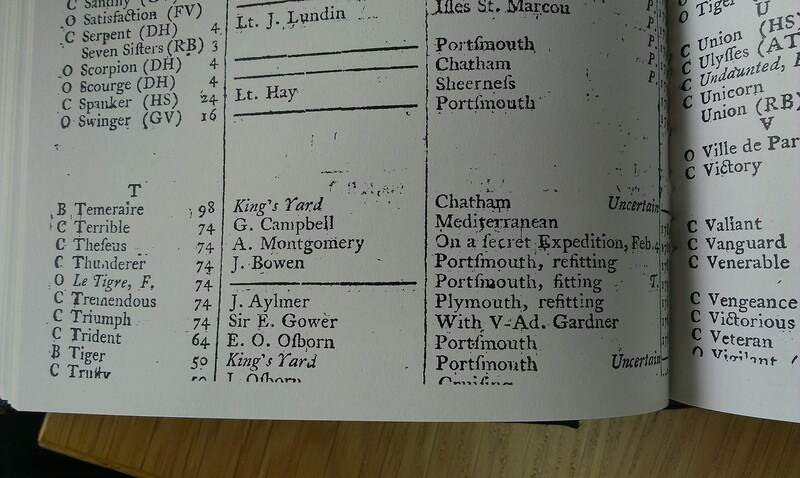 The list for Feb 1797 shows him as Captain of the Theseus at Plymouth. The Concorde in the Action of 23 April 1794. Picture of 1795. From here. Augustus Montgomery was Captain of the Concorde in 1783. 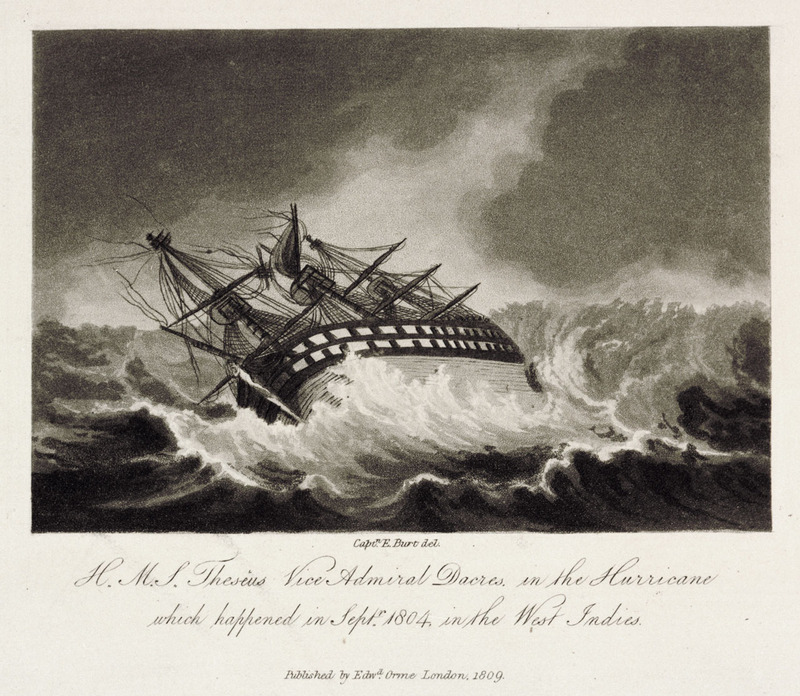 The Theseus caught in the Sept 1804 hurricane in the West Indies. Picture of 1809. See notes. See full size. From here. See other copy. Augustus Montgomery was Captain of the Theseus in 1796-97. The movie Master and Commander (2003) shows a fictional naval battle in 1805. 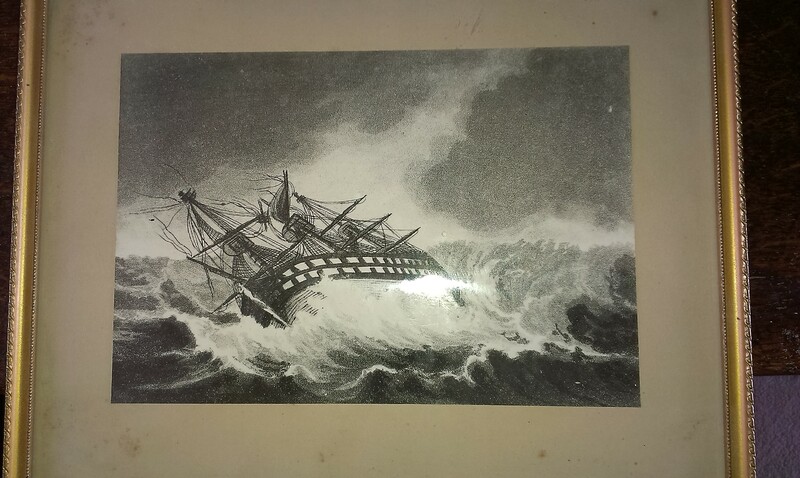 Reebkomp died on board his ship the Theseus at Plymouth on 6 Feb 1797. 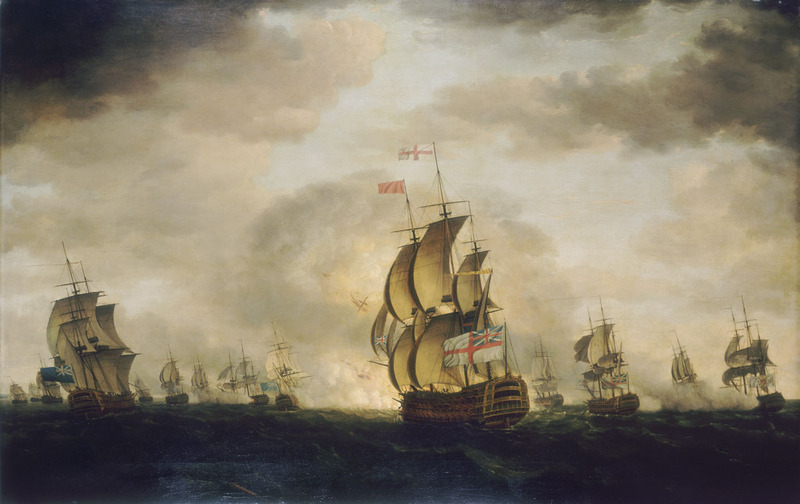 This was just one week before the Battle of Cape St. Vincent off Portugal, 14 Feb 1797. 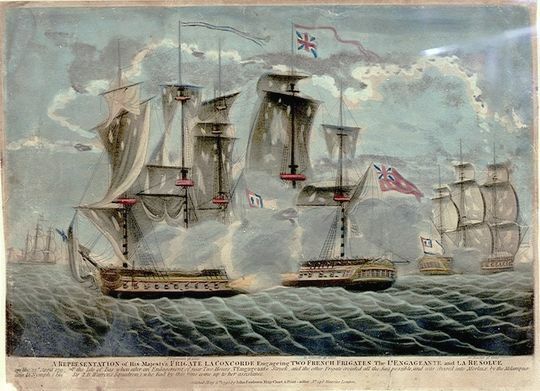 Nelson's flagship at the Battle of Cape St. Vincent was the Captain, under Capt. Miller. The Captain was badly damaged in the successful battle. After Reebkomp's death, the Theseus came out from England to join the fleet, with the crew a "hotbed of mutiny and intrigue" (see article). Nelson made the Theseus his new flagship, under Capt. Miller, c.Apr-May 1797, and they restored order.